The International Tunnelling & Underground Space Association, during the World Tunnel Congress of 2015 (WTC 2015) held in Dubrovnik of Croatia, declared the Eupalinos Tunnel as an International Tunnelling Landmark. 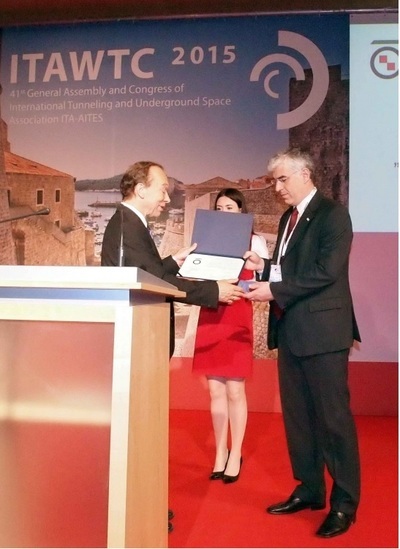 The award took place during the opening ceremony of the World Tunnel Congress. 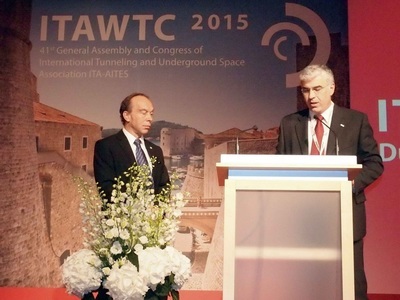 Mr Soren Eskesen, ITA President, handed to the representative of the Greek Tunnelling Society Mr. 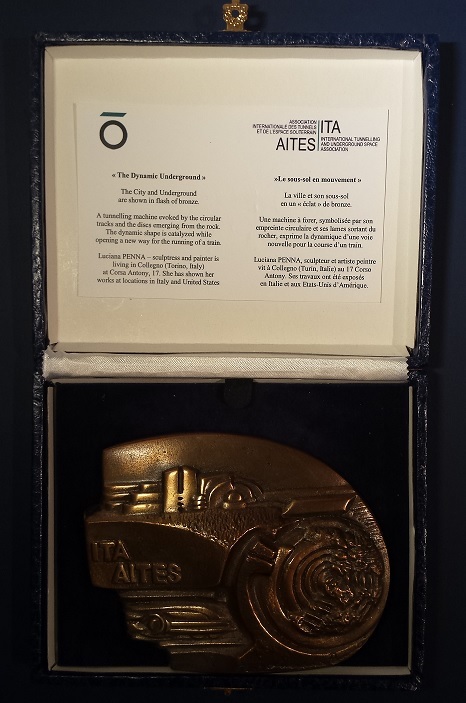 I. Fikiris a certificate for Eupalinos Tunnel as well as a special souvenir from ITA. 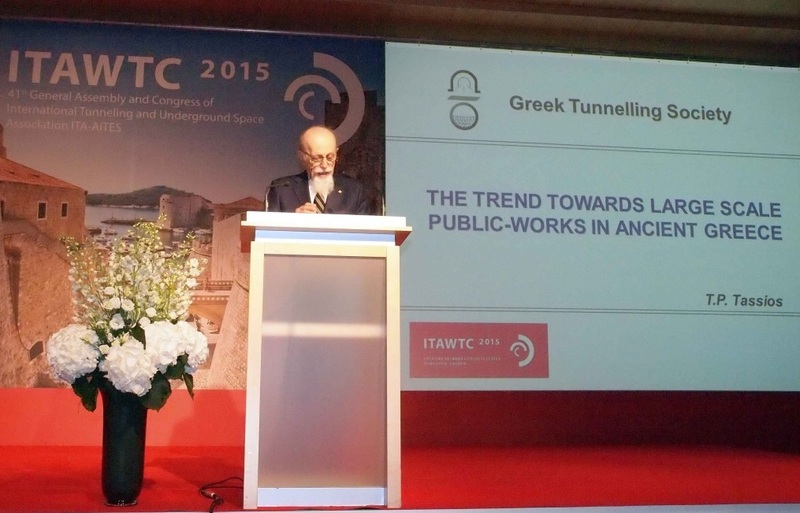 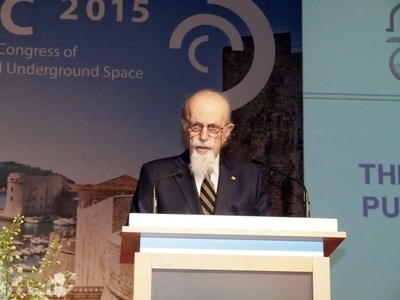 During the opening ceremony of the World Tunnel Congress of 2015 the prestigious Heritage lecture was delivered by Prof. Theodosios Tassios, Emeritus Professor of the National Technical University of Athens. The title of the lecture was "The Trend Towards Large Scale Public - Works in Ancient Greece".